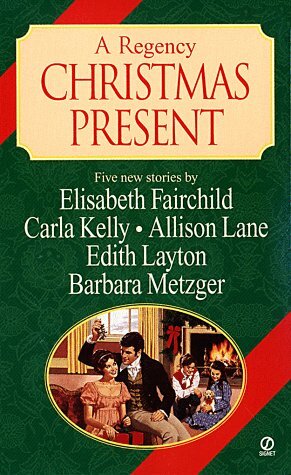 A collection of five holiday romance tales set in Regency England features contributions by Elisabeth Fairchild, Carla Kelly, Allison Lane, Edith Layton, and Barbara Metzger. Original. Carla Kelly is one of the most beloved Regency authors with more than a dozen novels. She lives in Valley City, North Dakota. Edith Layton, critically acclaimed for her short stories, also writes historicals for HarperCollins and has won numerous awards. She loves to hear from readers and can be reached at http://www.edithlayton.com. Barbara Metzger is the author of more than two dozen Regency romances, and the proud recipient of a Romantic Times Career Achievement Award for Regencies. When not writing Regencies or reading them, she paints, gardens, volunteers at the local library, and goes beachcombing on the beautiful Long Island shore with her little dog, Hero. She loves to hear from her readers, care of Signet or through her Web site.